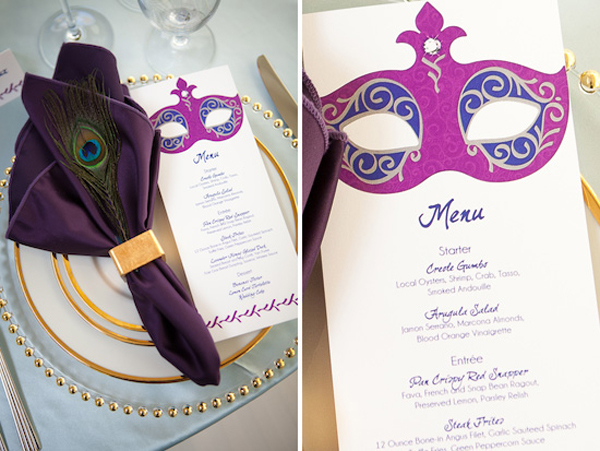 Mardi Gras is around the corner and we wanted to share some inspiration that we have found recently. We love Mardi Gras for all of its color and of course… “Fat Tuesday” eating. 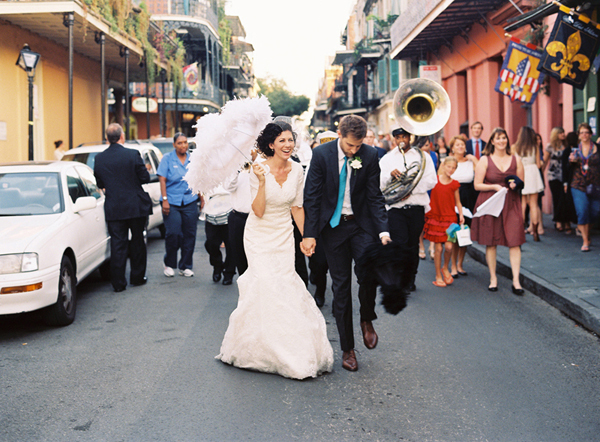 Traci has a love for the South, southern weddings and loves how much history Mardi Gras has to offer a couple. 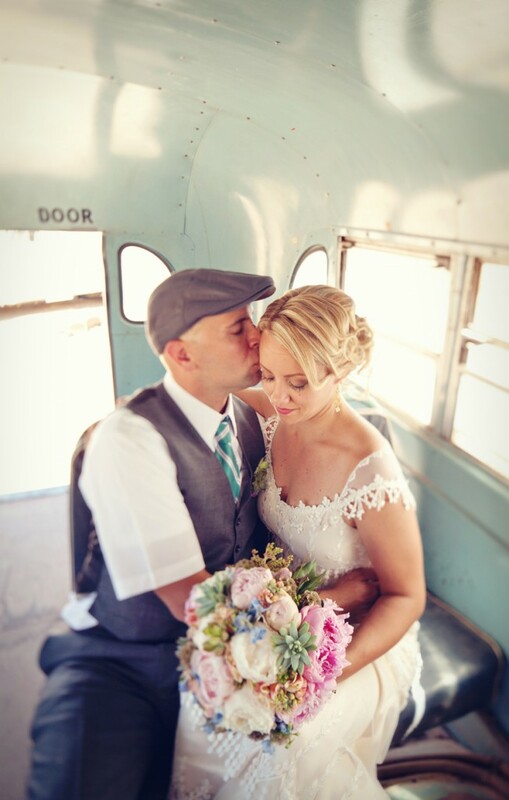 Sharing your heritage and history of the South with your guests is a great way to personalize your big day. 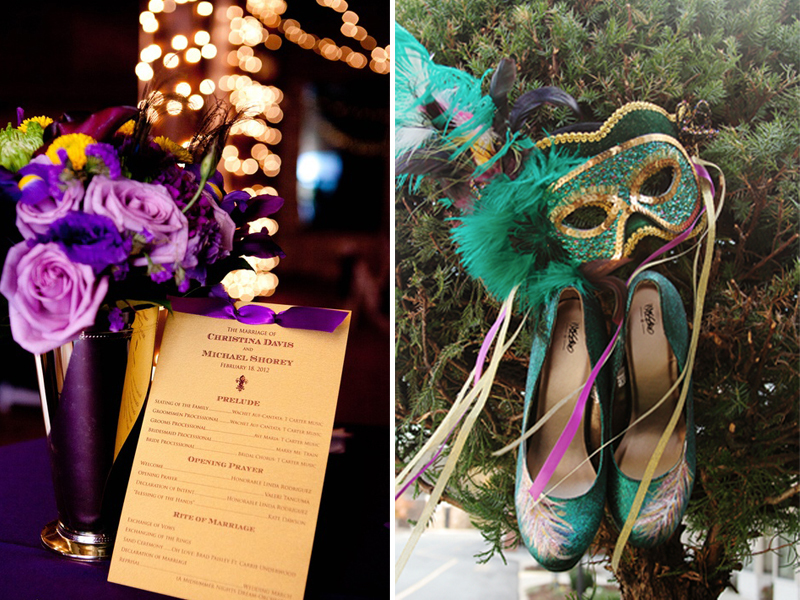 If you would like to incorporate just a few elements of Mardi Gras into your wedding or if you are going all out with the Mardi Gras theme, take a look below to see some awesome images that will inspire you to keep your wedding elegant and unique to you. 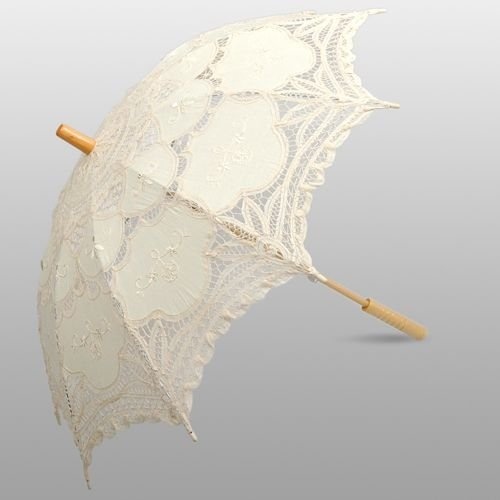 Creating custom parasols for guests or just yourself is a great way to add in a little Cajun flare to your photos or as a favor for your guests. 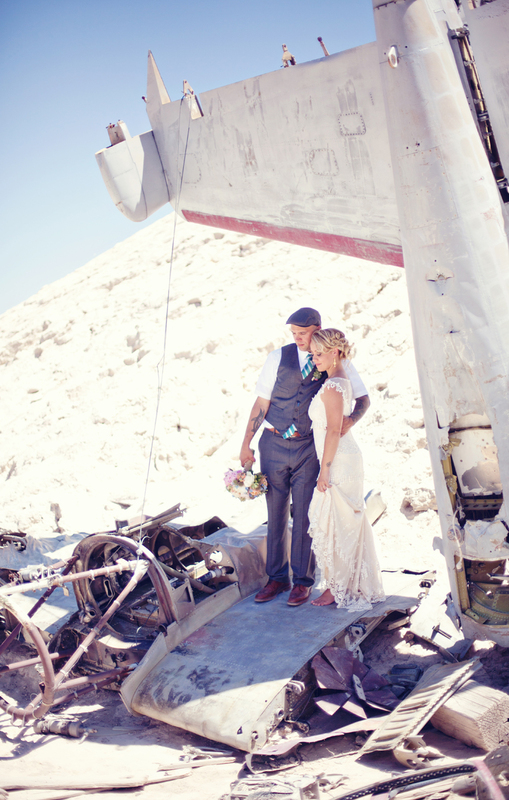 On June 21, 2012, Christina and Jason hosted their wedding ceremony at Techatticup Mining Camp in Nelson, NV. 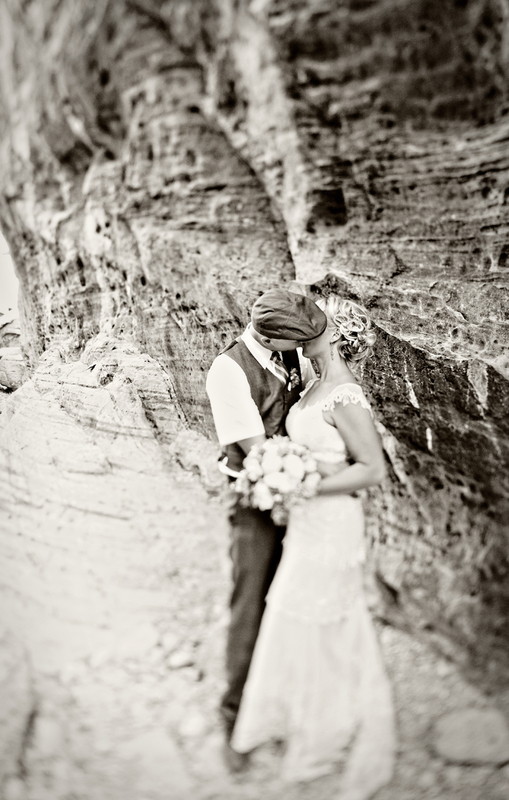 Christina, a wedding photographer herself, chose Nevada for its abundance of desert landscaping and photo opportunities. 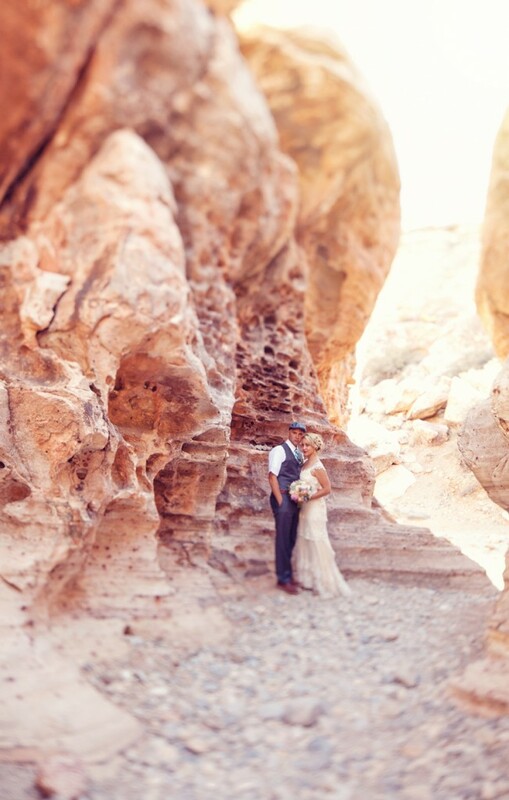 The bride and her best friend visited Las Vegas for a weekend of planning with Scheme Events. Christina, a girl from New Jersey who had a contagious smile, kind heart and love for her fiancé like no other, had us laughing from day one. We needed to find the perfect space for her, and we did! 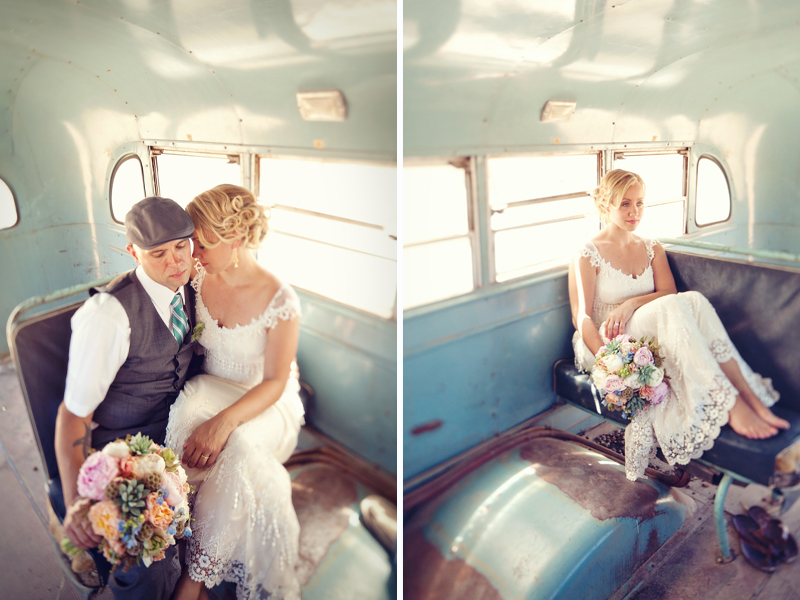 Check out this engaging video and wonderful photos from Flora + Fauna. A few weeks ago, Liene Stevens of Think Splendid announced the launch of the online book club, Read Splendid. The first book on the list is Daring Greatly: How the Courage to Be Vulnerable Transforms the Way We Live, Love, Parent and Lead by Brene Brown. If this sounds like Greek to you…don’t worry, you are not alone! After reading a few pages, paragraphs or chapters, each of us is chiming in to provide a few insights we’ve discovered thus far! I’d seen Brene’s infamous TED talk a number of times before starting this book, so I was somewhat familiar with her research. Reading Daring Greatly has pushed me to further explore the nooks, crannies and cobwebs of vulnerability, shame and failure in search of connection and wholeheartedness. A few chapters into the book, Brene discusses how men and women experience shame. I absolutely loved learning about these emotions from a male perspective. On a subconscious level I was aware of the influence of cultural and other norms placed on boys and men, but to read how much of this is internalized, analyzed and accepted by men astounded me. I was certainly left in a place to be more understanding, open and supportive. If you are looking to connect with a male partner, co-worker, family member or friend I highly recommend reading this portion of the book! I was completely unsure where this book would take me, but I was excited to begin the journey. Quickly after beginning, I realize one of the things I struggle with in my life is the fear of how others perceive me. I’m not smart enough, I’m not pretty enough. I haven’t achieved enough. I’m not good enough. Brene Brown defines my struggle as shame and states that shame keeps me small, resentful and afraid. Yikes! I chatted with my husband one night about wanting to be more like a friend because she was more outgoing, more outspoken, and seemed to be more confident than myself. He kindly responds, “People love you for who you are.” Ok, well thanks babe. As I continued to read Daring Greatly, I realized what my husband had said was true. Brown writes, “Wholehearted living is about engaging in our lives from a place of worthiness. It means cultivating the courage, compassion and connection to wake up in the morning and think, no matter what gets done and how much is left undone, I am enough. It’s going to bed at night thinking, yes, I am imperfect and vulnerable and somethings afraid, but that doesn’t change the truth that I am also brave and worthy of love and belong.” I’m looking forward to reading further into the book to see how I can defeat my shame, but intrigued just knowing that I have brought light to my situation. Be in touch! I am not one for reading much…my mind wanders and I think about everything other than the words on the pages in front of me. I took this book club on to experience something new and to learn. This book had me thinking from the first page of the introduction. Brene stated right off that, “Connection is why we’re here. We are hardwired to connect with others, it’s what gives purpose and meaning to our lives and without it there is suffering.” I read this sentence and “connected” with it, no pun intended. I strive for a connection with each person I meet in life; in business and in friendships. Having a connection with people is something that leads you to Wholehearted living and I feel that this is something that I try to do with each person I meet, but sometimes get caught up in the buzz of work and enjoying the company of others that I forget to ask questions to learn more about them or to get to know them on a more personal level to create that connection. Brene Brown also said, “Labeling the problem in a way that makes it about who people are rather than the choices they’re making lets all of us off the hook.” As I have grown wiser and older in my mere 26 years of life, my parents remind me of this in different ways regularly. I am sometimes not the best on acting on this. Maybe in a way it makes me feel vulnerable to look beyond this action, especially if it hurts me personally. However, after I sit and think for a while on what has happened, I more often than not, realize they are a person too. Everyone comes from a different background and has learned life lessons in different ways. Some people make mistakes and learn from them; I am an advocate of learning from your mistakes and not judging the person for those mistakes. I am enraptured to read the rest of these chapters and to learn about how I am vulnerable in life and in situations and I look forward to sharing them with you (maybe that is my way of overcoming vulnerability… by sharing it on the world wide web).